A Public Interest Litigation has been filed by Advocate Arun Thomas against appointing of Sri VS Achuthanandan as Chairman, Administrative Reforms Commission without prescribing the qualification, method of appointment and the constitution of the Selection Committee for the post. The matter which came up Today for consideration before Acting Chief Justice Thottathil B Radhakrishnan and Justice Anu Sivaraman has been adjourned to Thursday for instructions from the Government. A perusal of explanation to sub section (2) would reveal that the “Administrative Reforms Commission” means a body of experts constituted by the State Government from time to time, to study different aspects of administration and recommend measures for its improvement. Petitioner begs to submit that though the bill was passed by the assembly, the same has not yet been notified for want of assent by the governor. Relying on the doctrine of spoils system as formulated by the apex court , the petitioner contends that Sri Achuthanandan cannot be appointed as Chairman, Administrative Reforms Commission. Petitioner buttressing his arguments on an apex court ruling states:- “it is necessary to appreciate that the Constitution does not envisage the “spoils system” (also known as the patronage system) wherein the political party which wins an election gives Government positions to its supporters, friends and relatives as a reward for working towards victory and as an incentive to keep the party in power.” By appointing Sri Achuthanandan, who has only studied till VIIth standard, the State Government is following the “spoils system” (patronage system) for adequately compensating the second respondent for spear heading the election campaign on behalf of the Left Democratic Front. 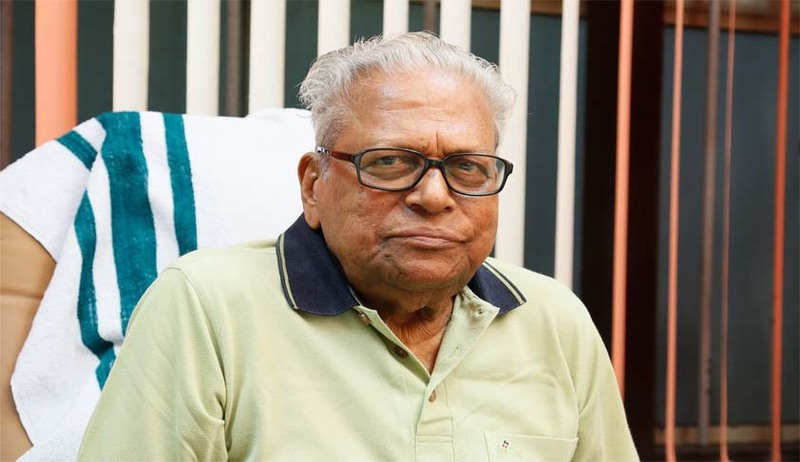 A responsible position like the Chairman of the Administrative Reforms Commission cannot be permitted to be filled up by a person like Sri Achuthanandan, whose educational qualification is only VIIth standard, who by virtue of a constitutional silence happened to be elected as the Chief Minister of the State of Kerala as well as the Leader of Opposition. Petitioner filed through Advocate Santhosh Mathew, also challenges the decision to grant cabinet rank to VS without specifying any condition or qualifications thereto and appointing him to said post amounts to arbitrary exercise of power and therefore is violative of Article 14& 16 of the Constitution of India. Petitioner contends:- “The action of the State Government in proposing to appoint the second respondent as Chairman of the Administrative Reforms Commission, without prescribing the qualifications, method of appointment, the constitution of the Selection Committee and by inviting applications from eligible candidates is totally arbitrary and illegal and violative of Articles 14 and 16 of the Constitution of India”.